As a sports and wellness medicine practitioner whose clients include Olympic and professional athletes, triathletes, and weekend warriors, Dr. Naresh Rao has uncovered the secrets of how and why elite athletes consistently perform at the highest levels. In Step Up Your Game, he reveals what separates the best athletes from the rest of us, despite our best efforts in any chosen sport. According to Rao, top athletes know that peak performance requires much more than consistent practice. He reveals a comprehensive program that takes into account every aspect of optimizing wellness--from monitoring health to improving nutrition, following a thorough training protocol, and developing a plan for recovering from and preventing injury. The mental game is just as important as the physical o≠ these athletes make sure to address their motivational, psychological, and spiritual needs, too. In short, the athletes who are at the top of their game know that if they want to improve--whether it’s their accuracy at the goal, time at the finish line, or consistency of play--they need to take each of these aspects into consideration every single day. 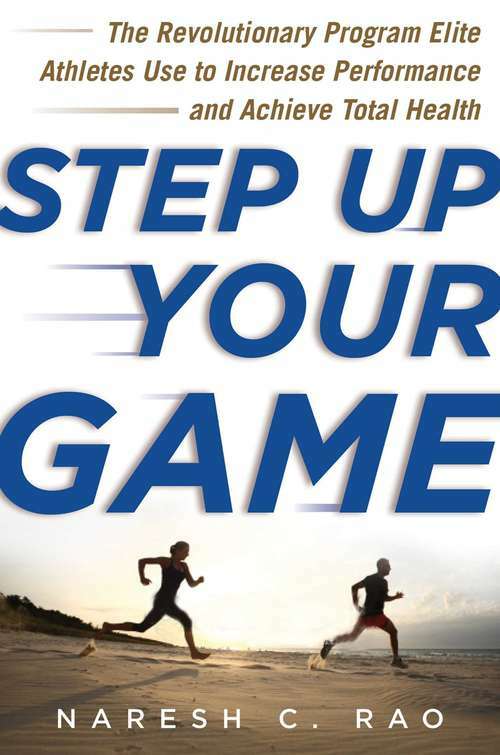 Step Up Your Game reveals how remarkable success is available to athletes with the conviction and desire to improve. By integrating Dr. Rao’s program into an existing fitness routine, readers will take ownership of their training in a systematic way, remove the stress that often hampers outcomes, and--most importantly--begin to fully enjoy their exercise experience as they work to achieve their healthiest selves.